King-Wai Yau, Ph.D. from Johns Hopkins University is delivering a seminar tomorrow, Tuesday, September 18th, 2012 at the Eccles Institute for Human Genetics here at the University of Utah. 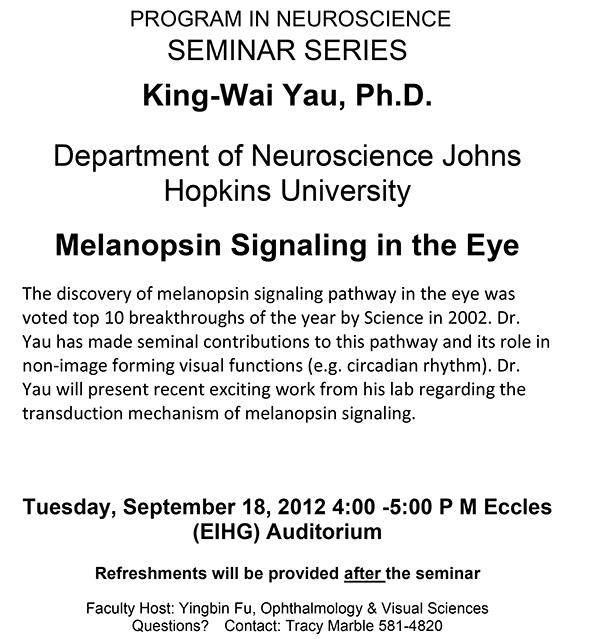 Dr. Yau will be talking about Melanopsin Signaling In The Eye. Abstract: The discovery of melanopsin signaling pathway in the eye was voted one of the top 10 breakthroughs of the year by Science in 2002. Dr. Yau has made seminal contributions to this pathway and its role in non-image forming visual functions (e.g. circadian rhythm). 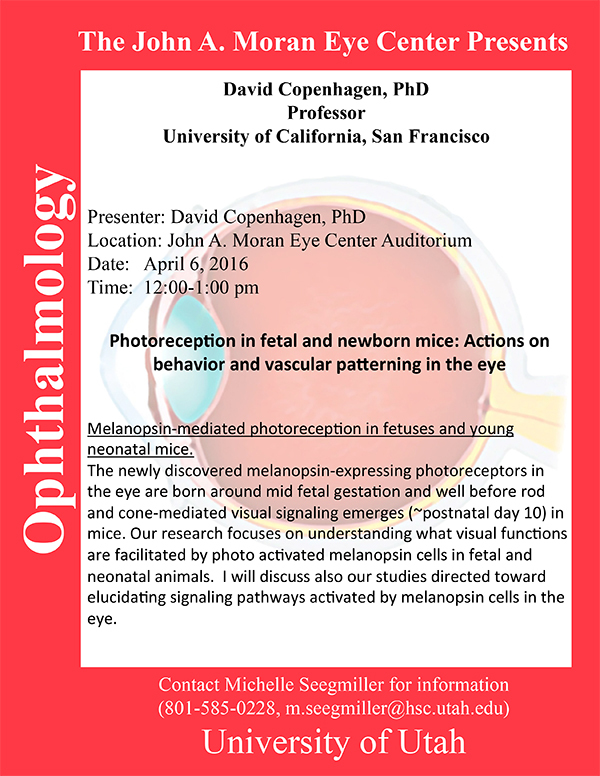 Dr. Yau will present recent exciting work from his lab regarding the transduction mechanism of melanopsin signaling. The Moran Eye Center’s Yingbin Fu is hosting.